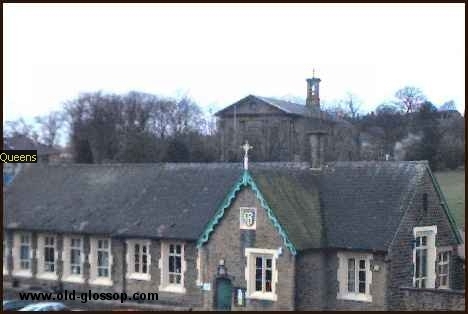 All Saints RC Primary School, Church Street, Old Glossop. 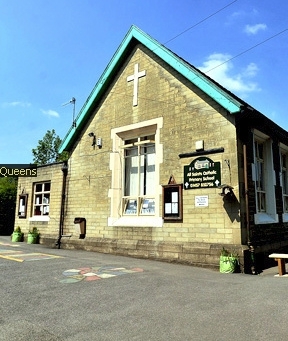 Slater's Directory of Derbyshire 1876: Built in the 1840's originally for girl pupils and conducted by the Sisters of Charity. 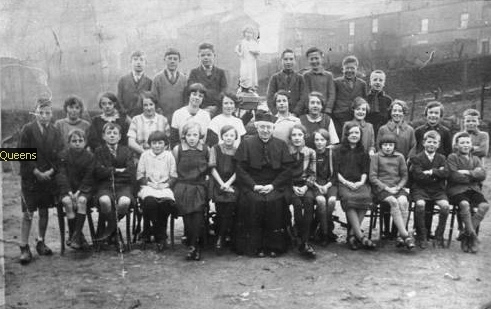 The boys school was situated on Talbot Street. 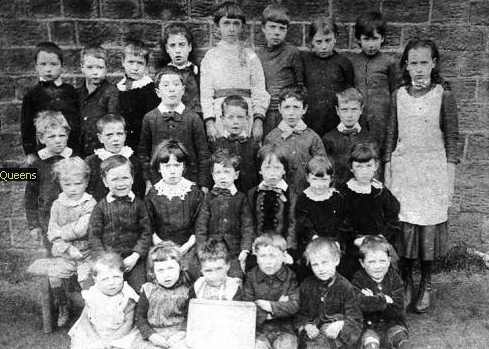 The Post Office Directory of Derbyshire, 1876: There is a mixed school, under Government Inspection, conducted by the Sisters of Charity of St. Paul. 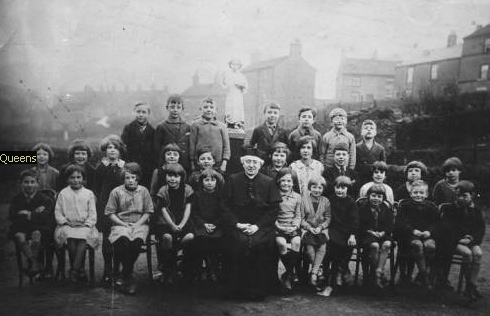 Kelly's Directory of Derbyshire 1881: Both boys and girls were attending All Saints School in Old Glossop conducted by the Sisters of St Paul. 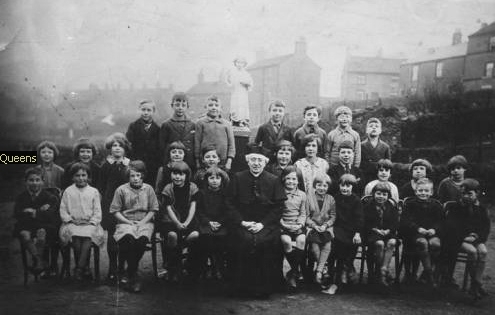 Kelly's Directory of Derbyshire, 1895: Catholic, Old Glossop (mixed), for 120 children; average attendance 70; Sisters of the Order of St. Paul, teachers. 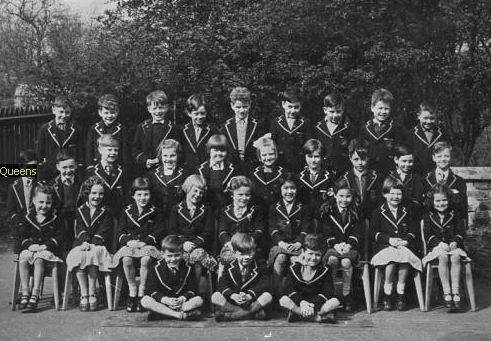 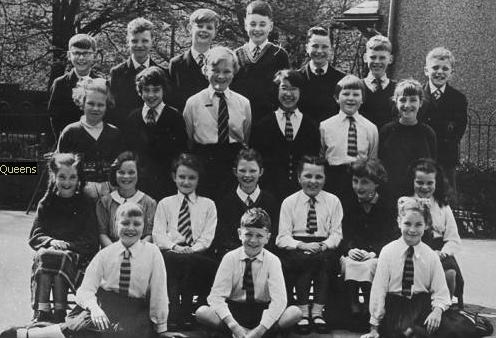 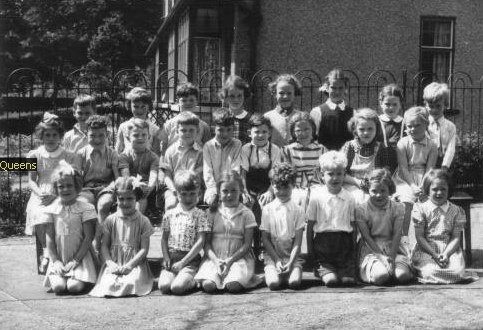 In 1961 All Saints became a Primary School when a new secondary school was built on St Mary's Road. 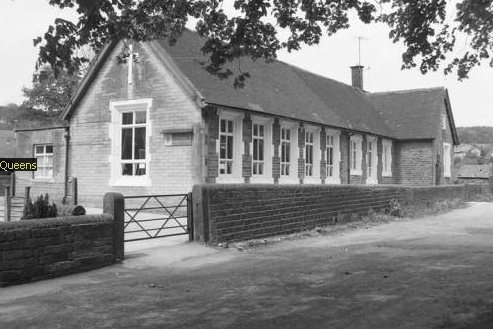 Fortunately the combined efforts of the villagers, councillors, residents association and parents where finally rewarded and the school remains open to this day. 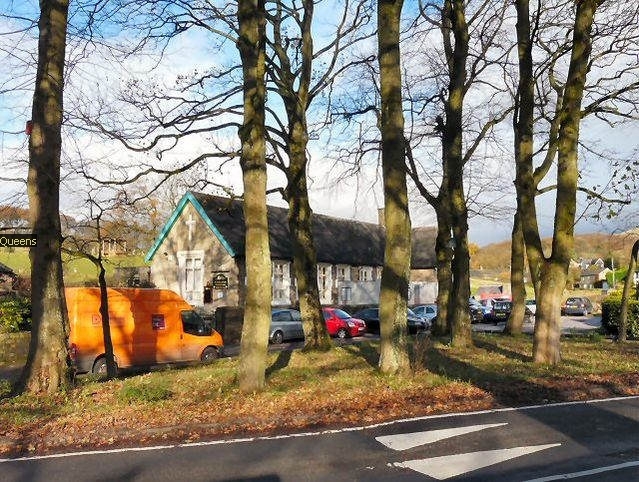 In front of the School is a beautiful coppice of trees that were planted over 100 years ago. 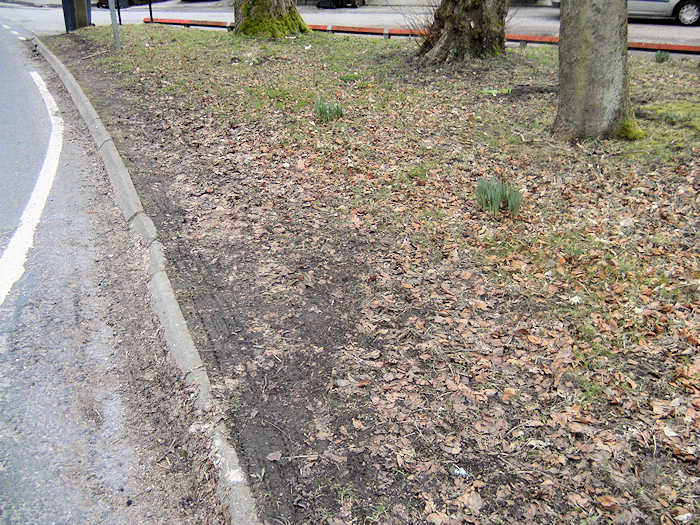 However since some of the tree roots were being damaged by parents picking up their offsprings by cars, the schools local neighbors got together, bought and erected a kick fence that cured this problem in front of the school. 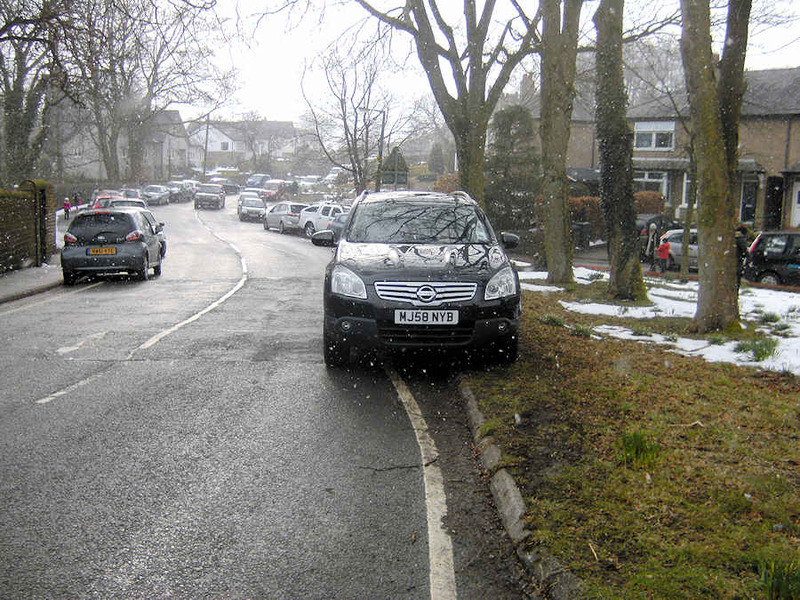 The section of coppice facing the road was not fenced off to enable children and their parents to walk safety on the edge of the coppice and not on the road. 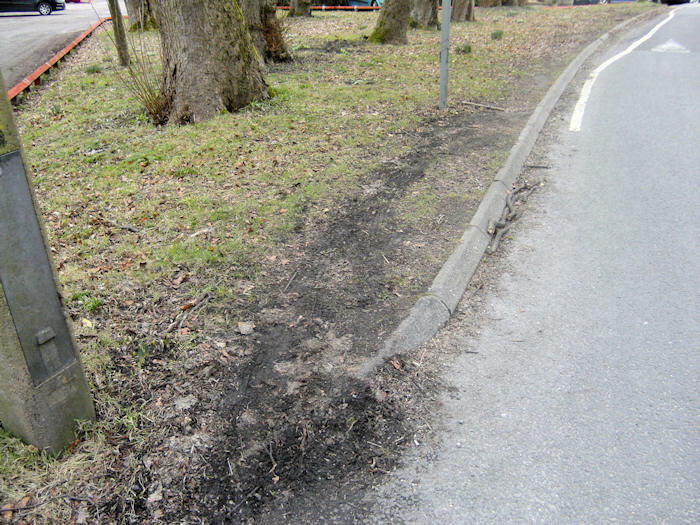 However this area is now being cut up and damaged by none village parents who despite being asked politely not to drive onto the grass continue to park there when picking up and depositing their children. 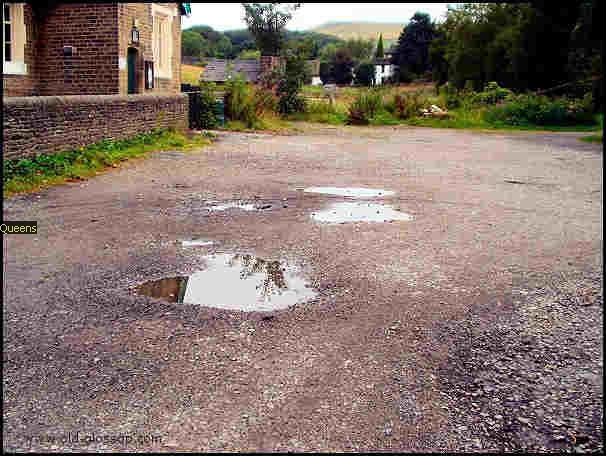 See the following photos. 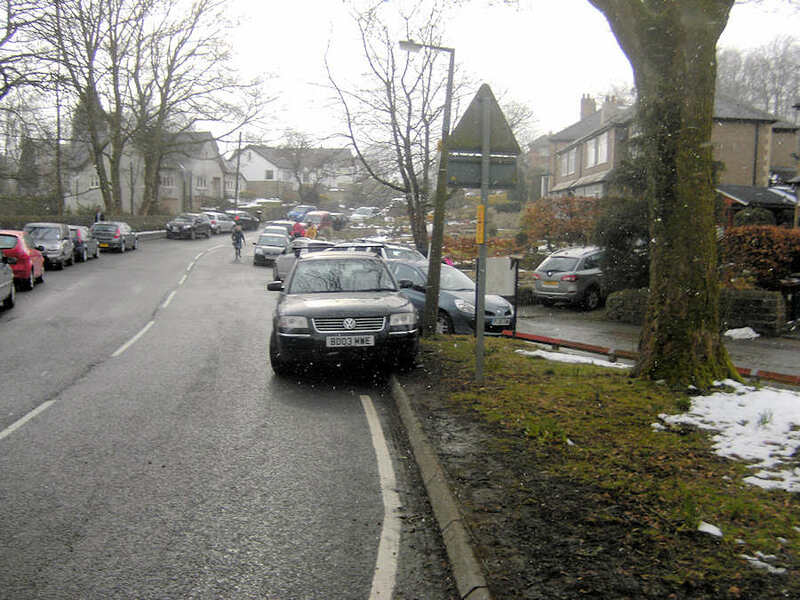 Double yellow lines have been asked for in this area so that drivers can be fined if they continue with this unneighborly practice, but Derbyshire County council has not found time to do this yet.